Dubbed “Mr. China” by James Fallows of The Atlantic Monthly, and the subject of a BBC 4 program, Liam Casey, a native of Cork, is changing the way the world does business with China. You’ve studied the goods and compared the prices, and your latest electronic desire hovers in your online shopping cart, awaiting that final command. You click “Purchase” and you’ve tipped the domino, sparking a chain reaction that will play out on a global scale. Already, your order has appeared on a screen before nightshift workers on the other side of the world. A highly choreographed dance involving ever-changing flows of data, people, money, goods, and ideas brings the product to your doorstep, just two days later. The choreographer of this global production is a former farmer from Cork whom you’ve probably never heard of. But he works behind the scenes to deliver the goods – quite literally – for some of the top makers of high-tech devices around today. To do this he spans time zones, disregards borders, jets between continents, thinks spatially, works incessantly, and lives out of a Sheraton in Shenzhen, China. He’s an Irish-born man with the world as his stage. I caught up to Liam Casey on a recent autumn afternoon in the heart of California’s Silicon Valley. To get there, I rode part of the Pacific Coast Highway, a long stretch of seaside road that holds special significance for Casey. It was soon after, while working for a Southern California trading company, that Casey got the idea for his next move. He asked a Taiwanese colleague who imported hardware from Asia whether he had ever sold his products to Ireland. His answer: “I’ve never heard of that company.” It lit a fire under Casey. He realized there had to be great opportunity in Ireland to bring goods into Europe. Two years later he was thinking beyond merely importing products; he was learning what Western companies wanted to build and creating the connections to make it happen. By age 30, Casey had founded a company in Cork and named it PCH, after that Pacific Coast road. Fast forward 14 years to the present. Casey meets with Silicon Valley clients – some of the top names in consumer electronics and personal computers – hops a plane back to Hong Kong, and makes the short jump to his base in the southern Chinese city of Shenzhen. In this Special Economic Zone, Casey can choose from hundreds of factories within a few miles to piece together all the aspects of engineering, manufacturing, retail packaging, order management – even product design – that Western companies can’t do as fast or efficiently. PCH handles well over a billion dollars worth of product in a year. Crucial to this harried assembly line of high-volume high technology are the millions of rural migrants who flow to Shenzhen to work in its factories. While often arduous and repetitive, the work can earn them a much better living than they can squeeze from the countryside. In just 20 years, Shenzhen has grown from a small fishing village to a metropolis with twice the population of New York City. Thanks to the recent flourishing of more interactive, Web-based applications, the process isn’t over when the products leave China on the early-morning Fed-Ex flight. From Shenzhen, Casey’s people can monitor the blogs where consumers are raving about – or ripping on – his clients’ products. The real-time feedback allows them to tweak the supply chain quickly, fixing any problems at a speed impossible before the advent of “Web 2.0” sites like blogs and wikis. Globalization is not just hype or business-speak but reality in full swing. Now, bringing a new product to stores – which often took companies years to do on their own – commonly takes just six months. Casey calls this “disruptive commerce.” This is the notion that these growing, interacting flows of information, people, concepts, and capital add up to more than just lower costs and faster trade. New ideas and products which, in the past, may have looked too risky to back can now leave the drawing boards and come to life. Meanwhile, Casey’s clients can focus on conceptualizing the next hot handheld device. Casey is modest about the success he has enjoyed in his business, but I sensed a tiny blink of pride at his notion that he’s helping to shake up the order. While southern China and the U.S. are central to his enterprise, Casey sniffs out local strength wherever it lies, which is why the company’s headquarters are still in Cork. Ireland has well-known education and tax advantages, but Casey also likes it for its time zone. A California client can talk to customer service in Cork, where the sun is still up, instead of a bleary-eyed nightshift worker on the other side of the globe. The ties between countries may be multiplying, but most places still have their own strengths and character. Casey smiled while recalling a story from one of his Irish engineers who went to China several years ago. “One of the last billboards he saw on the way to Dublin airport was a beautiful lady in a Wonderbra. And he arrived in Shenzhen 24 hours later and the first billboard he saw was an industrial molding press, so he knew he was in the right place,” Casey chuckled. Casey seems to embody both a strong appreciation of local details and the ability to think and work comfortably across time zones, currencies, systems, and borders – in short, local expertise combined with global perspective. While most of us are grounded in one culture and place, as most of humanity has always been, Casey is one of a small number who live a globalized life on a day-to-day basis. It dawned on me that many reporters have been looking at Casey through a narrow lens. The media often refer to him as “Mr. China,” either for “unlocking China’s secrets” or bringing the world’s work to its factories. But Casey’s stage is international and his very success as an immigrant from Ireland flows from working across all the boundaries and distances that have seemed so important for so long. In today’s world, such cross-border fluency is in demand wherever experts converge to ponder the future. Shortly before I met with Casey, he spoke at the Web 2.0 Summit in San Francisco, and the month before that, at the Global Irish Economic Forum at Farmleigh in Dublin. The Irish government convened the Farmleigh conference in September to explore ways to renew the Irish economy. Casey agreed with many of the proposals that came out of Farmleigh, particularly ones which build on Ireland’s existing strengths, like culture and the arts. One panel recommended the country build a world-class center or university for the performing arts and Irish culture. Irish poets and musicians are indeed famous across the world. But considering the big downturn in more fundamental parts of the economy, I wondered how Ireland could translate things like art and culture into significant economic recovery. I asked Casey whether countries like China and India may, in fact, be eclipsing the Celtic Tiger, moving into many of the value-added, service sector roles in which Ireland has long had an advantage. Indeed, this is what Casey has already done with PCH, a strategy which has helped the private firm grow 30% this year, over revenues of about $115 million last year, as it employs 800 people worldwide. Jetting between continents, speaking at high-profile conferences, working “26-hour days” . . . I asked Liam Casey how all the hours and the travel affect his personal life. “What personal life?” he grinned. Weekends are rare for Casey. After meetings in California, he usually flies back to China on a Friday night, which puts him in Shenzhen late Sunday morning, with just half a day to recover. By now you might be imagining a stressed, highly caffeinated executive. But Casey struck me as comfortable and highly personable. He came from his client meeting wearing not a suit but a denim shirt and Nehru jacket. And he flatly rejects the workaholic label. There’s no way to know what the next disruption will bring, to Ireland, to China, or to your own front doorstep. I asked Casey to reflect on his own surprising course, from the farm in County Cork to his present-day mobile, global identity. I thought again of the Pacific Coast Highway. A new Navy ship partly built with steel from the World Trade Center carries the motto “Never Forget.” Aliah O’Neill talks to Lt. Erin Millea who is serving aboard the recently commissioned USS New York. Lt. Erin Millea always knew she wanted to be a dentist—her father and older brother are practicing and one of her sisters is in dental school. However, her desire to serve her country and see the world led her to the unique position of practicing dentistry aboard the newly commissioned USS New York, an amphibious assault ship fortified with seven and a half tons of steel from the World Trade Center. While there have been several ships named USS New York in the past, most have not even approached the expected lifespan for the current ship and none have held such symbolic meaning. The first USS New York, for instance, was a gondola commissioned in 1776 by Benedict Arnold that was burned only two days later to avoid capture by the British. The most recent ship, which can remain active up to forty years, was given the motto “Strength Forged Through Sacrifice. Never Forget,” highlighting the perseverance of our troops and constant remembrance of the lives lost and affected by the 9/11 attacks. Lt. Millea, who was commissioned as an ensign in the Navy in 2004, spoke about her pride in working on a ship that has become so personally meaningful for New Yorkers and Americans throughout the country. Millea, who grew up and attended college in Nebraska, cites a military program designed to help students pay for medical school as her entry into the Navy: “I was very patriotic to begin with and had a lot of family members in the military during World War II. My Uncle Pat told me about this program called the Health Professions Scholarship Program that would pay for dental school. I figured that would be a good way to serve my country and also see the world.” Since then, Lt. Millea has been busy traveling in preparation for the ship’s commissioning, including a stay in New Orleans where the USS New York was built. The ship was finally commissioned on November 7th at Pier 88 South in New York City. As the ship’s sole dentist, Millea takes care of the dental needs of all 360 sailors on board, as well as approximately 700 marines when they board the USS New York to embark. In addition, Millea takes on various collateral duties—she is the Health Promotions Coordinator for the entire ship and is Treasurer and Social Coordinator of the Ward Room, an off-duty facility for the thirty-seven officers on the ship. Despite the wealth of new experiences, it is clear that Millea’s ties to home and family remain strong. She recently rang the closing bell at the New York Stock Exchange, which she calls “a huge, huge thrill. It’s something that you see on TV daily but when you’re up there it’s so surreal. It’s thirty seconds and it passes by in a blink of an eye.” Her parents and her brother were visiting and knew she would be ringing the bell, but according to Millea, the best part was getting phone calls from friends and relatives back home, shocked to see her on TV. As far as her family history goes, Millea credits her grandmother with sparking her interest in her Irish heritage. Millea’s great-great-grandfather, Patrick Leahy, was born on St. Patrick’s Day in 1852 in County Tipperary. He eventually came to the U.S. as a boy and settled in Emmetsburg, Iowa in 1880, where he met and married Millea’s great-great-grandmother, a Brennan. The Millea side of her family also has Irish roots in County Clare. This holiday season, audiences will see Saoirse Ronan – the Northern Irish wunderkind actress – in the intense drama The Lovely Bones, also starring Rachel Weisz, Susan Sarandon and Mark Wahlberg. Ronan plays a girl who is brutally murdered and, afterwards, watches from beyond the grave as her friends and family try to come to terms with this horrific turn of events. Next spring, however, Ronan will be taking a trip to merry Sherwood Forest. She is set to star alongside Russell Crowe and Cate Blanchett in a new movie version of the Robin Hood saga. Directed by blockbuster veteran Ridley Scott (American Gangster, Black Hawk Down, Gladiator, Alien), this is just the latest big screen version of the Robin Hood tale. Past films have featured a wide range of males in the lead role, from Kevin Costner to Errol Flynn (who often touted himself as an Irishman, though his parents were Australian). Blanchett and Crowe played historic Irish characters in previous films. Cate Blanchett portrayed crusading journalist Veronica Guerin, while Crowe was legendary Irish-American boxer Jim Braddock in Cinderella Man.Expect to see Ronan, Crowe and Blanchett in Robin Hood in May 2010. Later in 2010, Scott will be directing Liam Neeson in the movie version of the campy TV classic The A-Team. More on Liam Neeson later. Aside from Saoirse Ronan, Irish movie buffs will also be spending the Christmas season with Daniel Day-Lewis and Jim Sheridan. Day-Lewis, not seen since his screen-chewing, Oscar-winning turn in 2007’s There Will Be Blood, is among those in the star-studded cast of Nine. Also featuring Nicole Kidman, Penelope Cruz, Judi Dench and Kate Hudson, Nine is loosely based on Federico Fellini’s head-tripping 1963 film 8 1/2. The film explores a movie director beset on all sides by demanding women, including lovers, would-be lovers and even his deceased mother. Nine is set to be released Christmas Day. In early December, director Jim Sheridan’s next film Brothers will also be released. Featuring Jake Gyllenhall and Tobey Maguire as the titular siblings, Sheridan (In America, In the Name of the Father) is aiming for another Oscar in this drama about an Afghan War veteran (Maguire) who returns home to a wife (Natalie Portman) who may have fallen in love with Gyllenhall’s character. Anjelica Huston – daughter of Irish-American Hollywood legend John Huston, whose last film was James Joyce’s The Dead – will ring in the new year co-starring in a romantic comedy entitled When in Rome. Also starring Kristen Bell and Jon Heder (forever known as Napoleon Dynamite), When in Rome is about an ambitious New York woman (Bell) who runs off to Rome in search of love. She comes across a seemingly magic fountain, which sends an odd assortment of potential lovers her way. When a nosy reporter (Josh Duhamel) begins sniffing around the story of the magic fountain, it could be that true love has been found. Stephen Rea (The Crying Game) and Irish-American thespian Martin Sheen have signed on to star in an Irish movie project, which will actually be shooting in the Tipperary town where Sheen’s mother was born. The film, entitled Stella Days, features Sheen as a movie-loving priest, and is based on the life of an Irish priest by the name of Father Dean Cahill, who set up a movie theater in the tiny town of Borrisokane in the 1950s and 1960s. In Stella Days, Sheen’s character fears he has lost his passion for the priesthood. That is, until the locals – and the movies – light a new fire inside of him. Thaddeus O’Sullivan (Ordinary Decent Criminal) is among those who have been mentioned to serve as director of Stella Days. The film is based on a book by Michael Dorley Dubhairle entitled Stella Days: The Life and Times of a Rural Irish Cinema. Ridley Scott’s The A-Team is just one of several movies Liam Neeson has coming out soon. In 2011, you’ll see Neeson with the aforementioned Russell Crowe and Irish-American actress Olivia Wilde (best known for TV roles in House and the Irish New York drama The Black Donnellys) in The Next Three Days. Based on a French film entitled Anything for Her, The Next Three Days also features Irish-American veteran Brian Dennehy, as well as Elizabeth Banks (W). The film will be directed by Paul Haggis, who won an Oscar for 2004’s Crash. Neeson will also be seen in an upcoming film about Irish showbands in America entitled The Virgin of Las Vegas. U2 frontman Bono is among the producers. Pierce Brosnan, meanwhile, is as busy as Liam Neeson. Brosnan and Susan Sarandon will soon be seen in The Greatest, written and directed by Shana Feste. The film, which was a favorite at The Hamptons International Film Festival in October, looks at a family in the wake of a tragedy involving their son. The Greatest also features Carey Mulligan, the British actress who recently earned raves in The Education. Brosnan has at least three additional movies set for release in the next year or so. There’s Vanilla Gorilla, a comedy-drama about an albino ape directed by Irishman Terry Loane. Then there’s Remember Me, due out in February 2010. Finally there’s Percy Jackson and The Lightning Thief, which also features Steve Coogan (whose parents were Irish immigrants to England), Uma Thurman and Sean Bean. Speaking of the Hamptons Film Fest, The Imaginarium of Dr. Parnassus closed the festival. Directed by Terry Gilliam, the film has gotten tremendous attention because it was the movie Heath Ledger was working on when he unexpectedly died. Dubliner Colin Farrell, Johnny Depp and Jude Law take turns playing Ledger’s character. You’ll also see Farrell in an upcoming film from director Neil Jordan entitled Ondine and set in the west of Ireland. Incidentally, Jordan’s long-gestating TV series about the infamous Borgia family may turn up on Showtime next spring. Show biz insiders are saying the Borgia series could replace the heavily Irish Showtime hit The Tudors, which is ending its run. Though The Tudors dramatizes the trials and tribulations of British royalty, the series is filmed in Ireland and its cast includes Irish talent such as Jonathan Rhys Myers and Peter O’Toole. Jordan’s series about the Borgias will look at the trials and tribulations of another prominent family, an Italian one during the Renaissance which produced a pope as well as many accusations of corruption and murder. In other Irish TV news, Gabriel Byrne’s HBO series In Treatment will be back for a third season. Byrne plays Dr. Weston in the critically acclaimed show. Each episode takes a close look at Dr. Weston’s session with a particular patient. In Treatment also stars Oscar winner Dianne Wiest. Production on the third season should begin early in 2010. On to DVD news. Director Troy Duffy’s sequel to his notorious first flick Boondock Saints was released in October and should be available soon on DVD. The first film was a cheesy gore fest about Boston Irish gangsters which became a cult classic—mainly after the release of a documentary about Duffy’s rise to fame, which depicted the bartender-turned-director as self-destructive and spoiled. Speaking of which, in a world of temperamental artists and super-rich celebrities, it’s refreshing to hear about a film such as Into Temptation. Starring Kristen Chenoweth and directed by Patrick Coyle, the movie was an homage to the 50-year-old director’s Irish Catholic father, who was once a seminarian but eventually raised eight kids in Omaha, Nebraska. The elder Coyle died just weeks later. In April, second-generation Irish American Patrick Farrell of The Miami Herald was awarded the 2009 Pulitzer Prize for Breaking News Photography, for his incredible and moving photographs of the aftermath of Hurricane Ike and the other serious storms of the hurricane season in Haiti. In a recent conversation with Irish America, Farrell discussed his Irish heritage and his experience of documenting a humanitarian disaster. When asked whether he sees his work as art, news or both, Farrell replied, “I believe I’m a photojournalist (like many photojournalists) who tries to capture moments and tell stories and make them visually compelling. The photographs and experience in Haiti during last year’s hurricane season were the most devastating and important pictures I have shot during my career. Haiti had been relentlessly battered by those storms, and the destruction of homes and the incredible loss of life were stories that had to be told.” In the hurricane season of 2008, four storms, Fay, Gustav, Hanna and Ike, killed nearly 800 people and injured an additional 600. Around another 300 went missing. Over 100,000 homes were ruined or damaged. Seventy percent of Haiti’s crops were destroyed. Colum McCann’s newest novel, ‘Let the Great World Spin,’ was announced November 18 as the winner of the 2009 National Book Award for Fiction during a black-tie ceremony at Cipriani Wall Street in New York City. In his personal history and in his writing, he is a man of many different places. McCann is an Irish writer, born in Dublin, partly educated in Texas and Japan, who has been a New York resident for over fifteen years. He has never confined his writing or his life to one cultural sphere. Perhaps the best we can do is to call him a citizen of the world, someone willing to find emotional connections everywhere. It is appropriate, therefore, that his award-winning novel takes on the worldwide and yet emphatically located question of 9/11. ‘Let the Great World Spin’ is set around Phillipe Petit’s August 1974 tightrope walk between the two towers of the World Trade Center. It is about “many stories that fit into other stories” that become the story of the city of New York. McCann says, “There’s hardly a line in the novel about 9/11, but it’s everywhere if the reader wants it to be.” Each of McCann’s previous novels dealt with distinct and different countries and cultures. ‘The Dancer’ focused on the career and life of Rudolf Nureyev, the Soviet-born ballet phenomenon. ‘Zoli’ told the story of a young woman of the Slovakian Roma (or Gypsies). Songdogs made its way across Spain, Mexico, the United States and Ireland. This year, the National Book Foundation also highlighted winners from the past six decades, allowing the public to vote on a selection of previous award winning fiction books. Flannery O’Connor’s The Complete Stories, winner of the 1972 National Book Award, was honored as The Best of the National Book Awards Fiction. Sebastian Barry’s The Secret Scripture and Joseph O’Neill’s Netherland are among the 156 novels that have been nominated for the 2010 International IMPAC Dublin Literary Award, which is accompanied by a 100,000-euro prize. Barry’s 2009 Costa prizewinning novel was nominated by libraries in Ireland, the UK, the Czech Republic, South Africa, and the U.S., while O’Neill’s Man Booker Prize long-listed book was nominated by libraries in Ireland, Austria, South Africa and the U.S. Northern Ireland writers David Park, for The Truth Commissioner, and Deirdre Madden, for Molly Fox’s Birthday, also earned nominations. The short list for the IMPAC award will be announced in April 2010. The Irish buried in a Catholic cemetery on Bunker Hill are remembered. The cemetery is gated and well hidden, and there have been no burials in it for three score years and more. It’s a lovely, grassy, tranquil place, and Dan Mahoney, the parish priest, remarks how all the headstones face northeast toward home, toward Ireland. The Catholic burial ground is on the fabled battle site of the Revolutionary War in Charlestown, Massachusetts that turned the tide against the British and led eventually to independence. And, though the battle was fought on nearby Breed’s Hill and the Colonials “lost the day,” the fervor of the name “Bunker Hill” stirs the hearts of patriots. That the “Hill” was transformed into a Catholic cemetery and became a sectarian battleground is yet another piece of Charlestown’s long, contentious history. The Second Battle of Bunker Hill would pit the well-heeled Yankee establishment against a gutsy bishop on a mission. Fenwick, a Jesuit, was regarded with suspicion by the Boston Protestant elite, who were openly and vehemently anti-Catholic, anti-Irish, and anti-Jesuit. The Bishop was, however, intelligent, courageous, and willing to take on the formidable challenge to the cemetery. Charlestown was, in fact, so intolerant of the Irish that in 1847 the town’s selectmen turned the Famine ship Reliance away from Dwin’s Wharf with 280 desperately ill aboard. Seen in this light, it’s understandable that the Bunker Hill Cemetery faced fierce resistance from Yankee Charlestown at every step of the way. But Bishop Fenwick won the day. In the bad old days, when infant death was all too common and the Irish poor had no means to buy a grave, deceased infants and young children were left at the cemetery gate for burial. Patrick Denvir, the sexton and undertaker at the Irish Cemetery behind St. Francis de Sales Church in Charlestown, tells us that sad practice was not unusual. There are hundreds of infants and children buried here. Their graves went unmarked but the children were not forgotten. One glorious September Sunday in 2009, a thousand or more gathered on the Hill to raise the Children of the Famine Memorial. The centerpiece is a Celtic Cross, one reminiscent of Muireadach’s High Cross at Monasterboice. Why do you lament their tragic passing? What counts is memory and memorial. Sun and Cross are all the one. As we present our annual Business 100 list, a celebration of the best and the brightest Irish-American executives and their standout achievements in the corporate world, we remain committed to highlighting progressive and innovative examples of business and industry. The following companies and executives are pioneers in using ecological thinking to fuel successful business. From electric cars and green energy production to sustainable cleaning products and free-range fish farming, this year’s Irish greens represent Irish Americans on the cutting edge of eco-friendly development. Open Blue Sea Farms’s mission is to feed the growing premium fish market with all natural, healthy, delicious branded seafood, through environmentally safe and sustainable free-range open-ocean farming methods. Their fish are cultivated in native waters far offshore in the open ocean and raised in a strong flow of pristine waters that have not been impacted or influenced by land. Further, their sustainable methods can satiate growing appetites without poisoning the environment, our oceans, sea life and us. Brian O’Hanlon is an open-ocean aquaculture veteran who has had multiple milestone successes in culturing and farming species of fish. Through his first venture, Snapperfarm, Inc., he was one of the first to move fish farming into the open sea. His fascination with the sea is no surprise, coming from a family that has for three generations worked in the seafood industry, beginning with his grandfather John, who spent his professional life at New York’s famous Fulton Fish Market. As a youngster, Brian became aware that our oceans would no longer be able to supply enough food for the world, and his passion focused on fish farming as the best way to alleviate the condition of our emptying seas. Brian, with plans to significantly expand his proven seafood cultivation technology and market acceptance under the Open Blue Sea Farms banner, is actively pursuing investment for Open Blue’s deep open-ocean aquaculture launch of branded, upscale and gourmet seafood products. He calls it “The Open Blue Revolution,” cultivating seafood far from shore into the open ocean where strong currents and deep water support biomass without damaging sensitive ecosystems. This translates to environmental and social impacts reduced or eliminated, stakeholder impacts being avoided, reduced energy consumption and improved coastal conditions in addition to creating a reliable, year round and sustainable supply of nutritious, healthy, safe, and delicious seafood. O’Hanlon is a founding board member of the Ocean Stewards Institute and is on the Steering Committee of the World Wildlife Fund’s Cobia Standards Dialogue. He is a fourth-generation Irish American with roots in Kerry, Clare, Louth, Limerick and Galway. 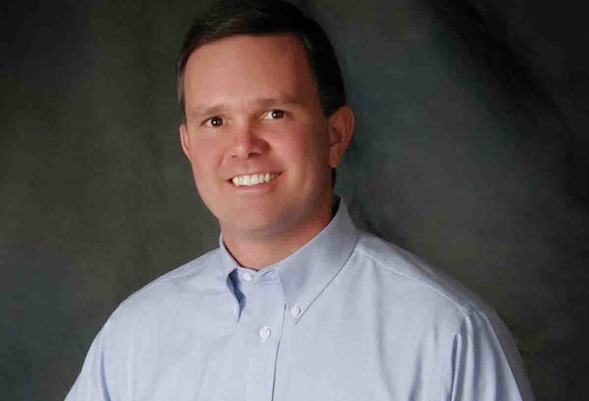 Adam Lowry, Chief Greenskeeper and CEO, Method Products, Inc. Method Products, Inc. combines the efficacy of powerful cleaning products with the safety of naturally derived, non-toxic ingredients. Their entire line of home and personal care products is biodegradable and safe for people and the environment. They offset carbon emissions by planting forests and by buying electricity from renewable sources like solar and wind energy. Adam Lowry believes that business is our greatest vehicle for positive social and environmental change. 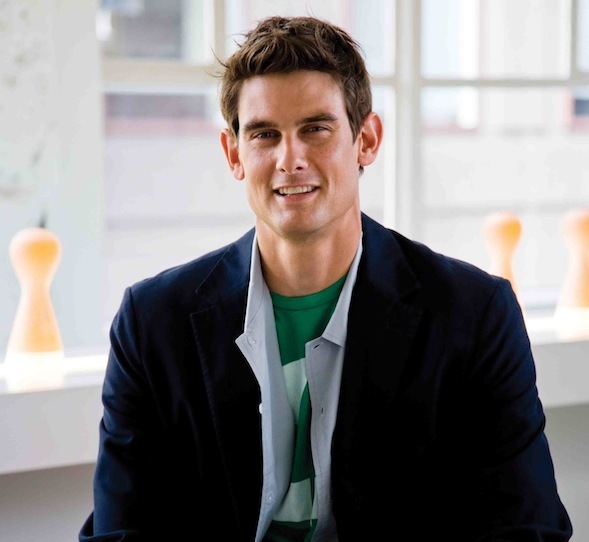 First and foremost an entrepreneur and change agent, Adam has a proven track record of innovation across multiple categories and consumer segments. Prior to founding Method, Adam worked as a climate scientist at the Carnegie Institution of Science, developing software products for the study of global climate change. As CEO and chief greenskeeper of Method Products, Adam’s focus is bringing sustainable innovations to the business. He also directs the sustainability aspects of product design, sourcing, and production, and provides strategic input for consumer marketing and the press. A third-generation Irish American whose great-grandfather Thomas Kirkpatrick Lowry was born in 1889 in Cork, Adam says that his Irish heritage means “you go after the things you believe in and make sure to enjoy yourself while you’re in the fight.” Adam holds a BS in chemical engineering from Stanford University, and resides in San Francisco with his wife, Mara, and daughter, Kenning. The goal of GenGreen LLC is to be the most comprehensive and diverse resource available for people looking to live a locally focused, environmentally conscious lifestyle. This is accomplished through GenGreenLife.com, the largest database of accredited green businesses and organizations in North America, where over 60,000 listings in the GenGreen network form a multi-faceted platform for communication, education and connection, from green news headlines, job listings and events, to tips helping consumers live a sustainable life. GenGreen is one of the preeminent aggregators and distributors of environmental content online. 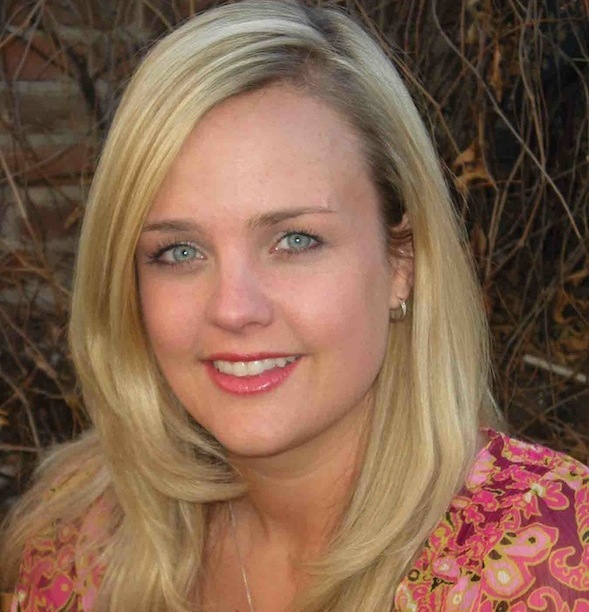 Born in Atlanta and a graduate of the College of Charleston in South Carolina with a degree in mass media communications, Charisse McAuliffe began her career working as a segment producer and field producer for Warner Brothers/Telepictures and as a production manager for ASAG Productions. Following a position as a broadcast producer, she got her real estate license and began brokering commercial real estate projects. Starting with green building practices, Charisse explored other areas of the sustainable lifestyle, and in 2006 moved to Colorado, where she began to pursue her environmental calling. She made it her life’s mission to make it easier for people in Colorado, the U.S., and hopefully one day the world to live sustainably. R. Scott McCreary, COO, Green Mountain Coffee Roasters, Inc. Since 1981, Green Mountain Coffee Roasters, Inc. has been roasting the finest Arabica beans from coffee-growing communities around the world, creating award-winning blends. Their goal is to provide consumers with an extraordinary coffee experience that’s environmentally sound, socially just, and delicious. They work to achieve this goal by integrating their values with their business operations and allocating 5% of pre-tax earnings to social and environmental causes. Through their business, Green Mountain hopes to inspire others to view business as a partner, and positive change agent, in the global effort to create long-term solutions and sustainability for people and ecosystems worldwide. They have developed programs around energy use and solid waste and funded grants related to jobs programs that merge environmental stewardship with poverty relief; the development of creative economies in rural areas; raising awareness and building capacities related to organic farming and fair trade as well as supporting an annual effort to clean up our nation’s rivers, among other causes. Scott has served as chief operating officer of GMCR’s Specialty Coffee Business Unit since 2004. 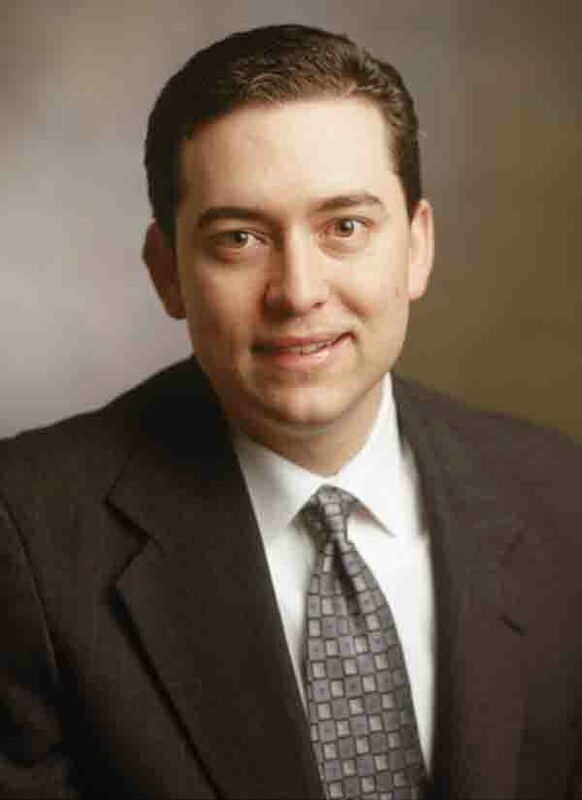 From 1993 until joining GMCR, Scott was employed by Unilever North American and its subsidiaries. His experiences include positions with Kraft General Foods, M&M Mars and Pillsbury. Scott holds an MBA in marketing from the University of Minnesota and a BS in engineering. He is a fourth-generation Irish American with roots in County Down. Patrick Lynch, Senior Vice President and CFO, Interface, Inc. In 1994, Ray Anderson, founder of Interface, Inc., the world’s largest manufacturer of modular carpet, awakened to the urgent need to set a new course toward sustainability. Interface committed to become the first name in industrial ecology worldwide, setting a course to total sustainability and a promise to eliminate any negative impact Interface might have on the environment by 2020. Seven of its manufacturing facilities currently operate with 100 percent renewable electricity, and more than 27 percent of Interface’s global energy consumption is derived from renewable sources. The company, which has a subsidiary in Craigavon, County Armagh, also began a program in 1995 to identify, measure and eliminate waste in manufacturing processes, and has successfully achieved a 50 percent reduction in waste cost per unit, resulting in $372 million saved to date. In 2007, Interface became the first carpet manufacturer to implement a process for “clean separation,” allowing for a maximum amount of post-consumer material to be recycled into new products. 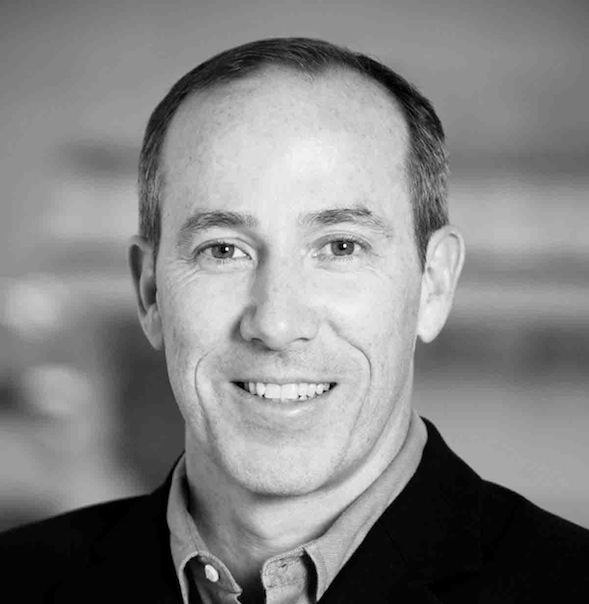 Patrick C. Lynch joined Interface in 1996 and became vice president and CFO in 2001. He was promoted to senior vice president in 2007. Patrick graduated from The Citadel in Charleston with a bachelor of science degree in business administration in 1992. He then went on to earn both a juris doctor degree in law and a master of business administration degree from Georgia State. A fourth-generation Irish American with roots in Cork, Patrick says that his Irish heritage provides him with “shining examples of faith and perseverance when faced with difficult circumstances.” Patrick resides in Atlanta with his wife Erica and their two daughters, Emily and Molly. Tesla Motors designs and sells high-performance, super-efficient electric cars. Their cars join style, acceleration, and handling with advanced technologies to make them the quickest and the most energy-efficient cars on the planet. The Tesla Roadster moves not only under its own power, but ultimately free of the existing and increasingly troublesome petroleum-based infrastructure. With a range of over 200 miles on a single charge and a supercar level 3.9 second 0-60 mph acceleration time, the Roadster is proof that the combination of passion and technology can deliver a truly groundbreaking automobile. Diarmuid O’Connell joined Tesla in 2006, and currently serves as the vice president of business development. Before joining Tesla, Diarmuid served as chief of staff for political military affairs at the U.S. State Department, where he was involved in policy and operational support to the U.S military in various theaters of operation. Prior to his tenure in Washington, Diarmuid worked in corporate strategy as a management consultant for Accenture, as a founder of educational software developer at Real Time Learning, and as a senior executive with both McCann Erickson Worldwide and Young and Rubicam. Dara O’Rourke, Founder, GoodGuide, Inc.
GoodGuide provides information about the environmental, social, and health performance of products and companies to consumers at the point of purchase (through web and mobile apps). They present this information through innovative visualization tools, facilitating learning, sharing, and contributing information to friends, families, and broader communities, and providing simple means for users to send signals to companies. Dara O’Rourke is an associate professor at the University of California, Berkeley, and the co-founder of GoodGuide, Inc. Dara’s research focuses on systems for monitoring the environmental, labor, and health impacts of global production systems. Dara has served as a consultant to international organizations such as the World Bank, the United Nations Development Program, the Organization for Economic Cooperation and Development, and a wide range of domestic and international non-governmental organizations. He has degrees in mechanical engineering, political science, and energy and resources, and was previously a professor at MIT. The goal of Sapphire Energy is to be the world’s leading producer of renewable petrochemical products. The team has built a scientifically superior platform that uses photosynthetic microorganisms to convert sunlight and CO2 into carbon-neutral alternatives to conventional fossil fuels. This domestic crude oil can be produced at massive scale on non-arable land. 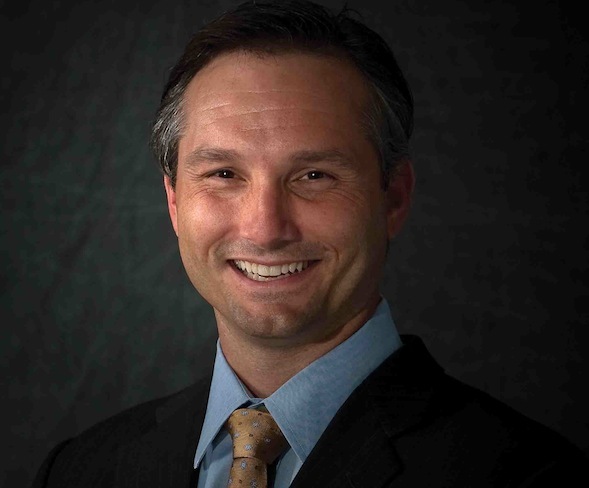 Dr. Jason Pyle, founder and CEO of Sapphire, holds an appointment as adjunct professor of bioengineering at Vanderbilt University where he has worked to develop cross-disciplinary programs of biological and engineering research. He was named Innovator of the Year (2006) by Frost and Sullivan, and holds numerous pending and issued patents in the engineering and biological sciences and has worked in diverse cross-discipline areas such as nanofabrication, optical engineering, and structural biology. Dr. Pyle holds a PhD in molecular and cellular physiology and an MD from Stanford University, and received degrees in optical engineering and physics from the University of Arizona. 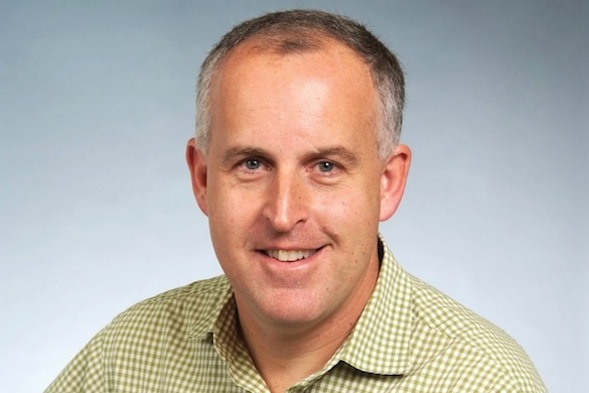 Casey Sheahan, President and CEO, Lost Arrow Corporation and Patagonia, Inc.
Lost Arrow is the holding company for the highly successful Patagonia brand of outdoor equipment and clothing. The company operates a small number of freestanding Patagonia stores in the U.S. and abroad, and sells its line through roughly 1,200 dealers in the U.S., Europe, and Japan. A design leader in several areas, pioneering specialized synthetic fabrics as well as bold, bright colors widely imitated by other outdoor apparel manufacturers, the company is dedicated to environmental preservation. As a member of “1% for the Planet,” Patagonia pledges to donate at least one percent of its annual sales to promote conservation and preservation of the natural environment. Located in a richly forested area near Dubuque Iowa, New Melleray Abbey, a Trappist monastery, managed to support itself through farming until the agricultural market collapse of the 1990s. Abbot Brendan Freeman launched a new venture in 1999 that would offset the shortfall in income. Taking advantage of a change in the law which allowed consumers to provide their own funeral merchandise, Abbot Brendan founded Trappist Caskets. By utilizing the Abbey’s massive timber resources and available monk labor force, the new company adopted the Irish tradition of wooden caskets. From its inception, the business has experienced brisk growth due to the vision, acumen, and oversight of Abbot Brendan. Trappists are committed to responsible stewardship, and their methods are aimed at preserving the world as God made it. Towards this end, the New Melleray monks use wood of local origin, much of it from their own award-winning 1,200-acre forest, which is managed to be a sustainable ecosystem. A tree is planted in the forest in honor of each individual buried in a Trappist casket. In addition to its casket business, New Melleray continues its 150-year tradition of farming, particularly chemical-free crops and raising organic Black Angus beef. Rev. 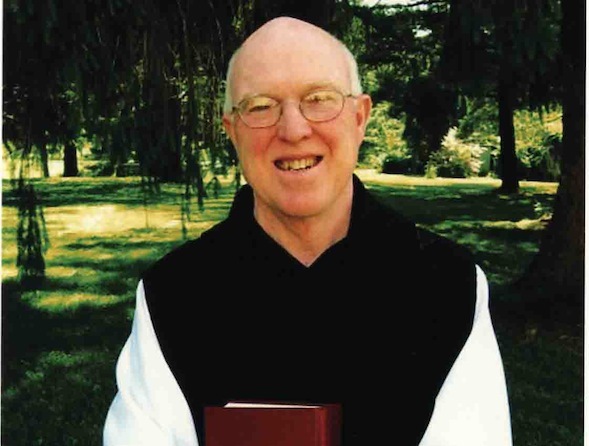 Abbot Brendan Freeman received an MA in religious studies and divinity from Catholic University of America. He is an Irish citizen whose father’s family hails from Ballyhanus and his mother’s from Kiltimagh, both in County Mayo. He is the president of the Board of Directors of Cistercian Publications and has been elected abbot for six consecutive terms at New Melleray Abbey, which was founded in 1849 at the time of the great famine by the Irish monastery Mount Melleray of County Waterford in Ireland. Ed Begley Jr. is an actor and environmental activist whose work spans the gamut in terms of genre and cross-generational appeal. His breakthrough role was as Dr. Victor Ehrlich on the hit TV show St. Elsewhere, which earned him six Emmy nominations. Since then, his career has included film, television and stage work, and his latest project, the reality show Living With Ed on Planet Green, represents a new stage. We caught up over the phone and discussed the projects he’s working on and his environmental plan that makes it simple for any consumer to go green and save money while doing so. Ed, Rachelle and the rest of the green movement are picking up speed in their effort to influence America’s consumer habits, but there are still obstacles: for example, the fact that only 57% of Americans see “solid evidence of [global] warming,” according to The Pew Research Center poll.